Walking into this tiny little shop off Glendale Boulevard in Echo Park feels like stumbling upon a pretty incredible secret. 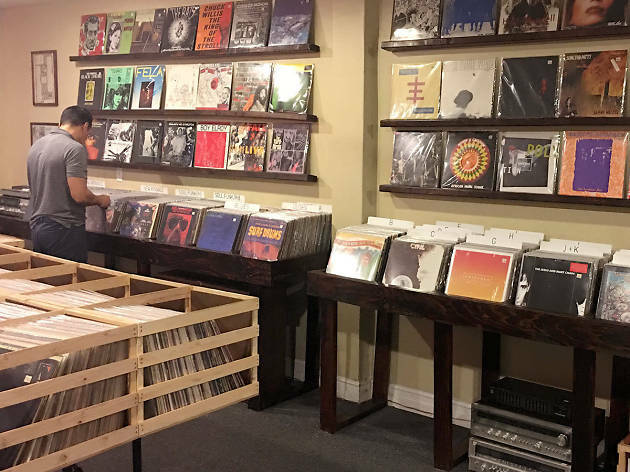 There's not much on the block–no cool bars or hip boutiques—so it's surprising to come across such a well-curated vinyl collection here. 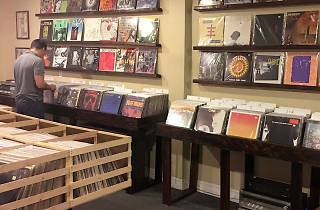 But the place exists, the staff is friendly (never snobby) and there's always an incredible record (almost always for sale) playing while you peruse the bins. Used indie and vintage is most of what you'll find here, but if you're looking for something particular, they'll usually try to hunt it down for you. This is the top place for bargains and finds, particularly dusty old jazz records.